When a Non-Profit Organization sets its goals, those may not be as definable as the profit making ones because their activities are directly connected to the well-being of less-privileged or underprivileged people. The qualitative aspects of their actions are not too easy to measure as the quantitative ones. As in terms of measured improvement, NGOs in West Bengal are asked to present anecdotal evidence, they often miss out on the opportunity of working ‘more meaningfully’. But Promise Unbound, works with a different ideology. This is a privately funded NGO, sponsored by CodeClouds, Visibility Line, and El Minara, aiming to discard the common problems people are facing in Kolkata and the remote areas of North & South 24-Parganas, West Bengal. It may be providing some educational resources to the needy children, blood donation for the thalassemia patients, run for education, providing sanitary pads to the poor women, educating the street children, raising awareness for AIDS, and more, Promise Unbound is a secular organization dedicated to bring change in human life that focuses on socio-economic change. All our team members and volunteers are directly involved with different projects, fundraising, managing campaigns, education-related matters and providing basic living facilities to the underprivileged. The beginning of a new journey towards a brighter future for families, communities and under privileged people of North and South 24 Parganas, West Bengal. Proudly backed and supported by CodeClouds™, El Minara, & Visibility Line. The less privileged people in North and South 24-Parganas, deserve a better life with basic amenities and this what we are trying to do for them &dash; A happier, healthier and educated future to brighten up hundreds of lives. As an ever growing NGO in West Bengal we are dedicated to bringing joy and well-being for our community. Partnerships will allow us to continue supporting those in need not only in India but other countries as well. An NGO is certainly a teamwork and that is what we do. More hands will increase our strength. For this noble cause, we are looking forward to more partnerships so that we can grow further. Life is never without dreams. So, it is our promise to help the poor in living the dreams they have always cherished. Recruiting volunteers and preparing for our community development phase. Bringing many people together and participating in new events. Our team will be traveling to meet more people in the rural areas, listen to their problems and arrange some remedies. With more volunteers in our team, we are aiming into a stronger team so that we can expand ourselves, and work in many parts of India other than 24 Parganas. Following our partnership with Visibility Line, we are planning to start several bases of operation around India, USA and NZ. The idea of growing internationally struck when we found that not only in India, people in other countries also need our help to fight acute poverty. And soon with our partnerships, we will fulfill the ‘Promise’ of a better life. The honorable Governing Council of Promise Unbound takes legal responsibility of all the operations by this organization with consent of laws and regulations. This council comprises well-known personalities who have extensive experience in various fields. 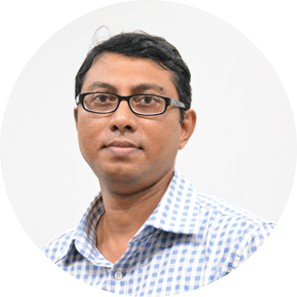 Gobindo Kumar Saha, is an overseas education consultant with over 30 years of experience. The University of Calcutta, being his alma mater, he had been closely involved with various social activities since his college days. As a part of the overseas education, he has also traveled extensively across the globe for different professional assignments. Doing something for the underprivileged is always his promise to carry on. 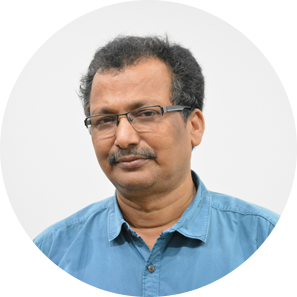 Presently, Gobindo Kumar Saha lives in Kolkata, India, with his family. Sushant is a IT consultant & advisor in the Technology innovation area. He carries out agile development, project management, conducts analyses of technological systems and value chains, road mapping activities in high-tech product development & research. With his 20 years of professional experience in techno-economic analysis & project management, he holds a general Systems engineering degree majoring Data modelling and a Six Sigma Certified professional too. Being such an innovative and hard working persona, Sushant has also been dedicatedly working for social causes. He currently lives in Kolkata, India with his Wife Tina and their two growing kids. 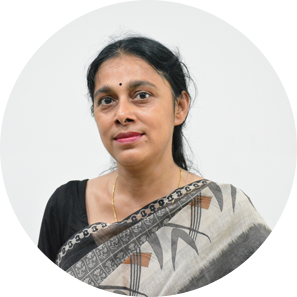 Kakali Mukhopadhyay is an IT professional who started her career at Siemens after completing her MCA from IGNOU. She has 22 years of professional experience as a Programming Analyst as well as IP Manager. Currently she is working with Institute of Management, Studies and Research & Projectscape Engineering Consultancy Services Private Limited in Kolkata. Along with her expertise in functional support for Project, she had keen interest in social activities and also, has been connected with social welfare since long. 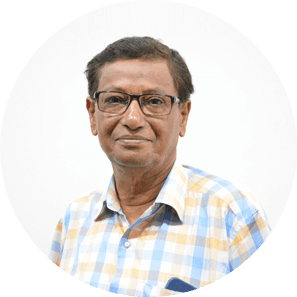 Being an entrepreneur by heart, Kumaresh Saha, has been involved in several businesses including food processing and retailing, since past 40 years. Currently, he is the director of Greencore Food Processing Private Ltd. Apart from his business, he has always taken keen interest in social activities. Currently, Kumaresh Saha resides in Habra with his family. 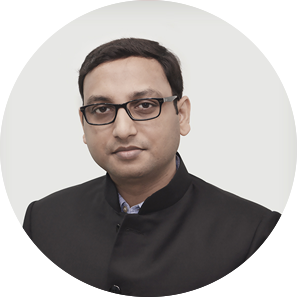 Kinkar Saha is a successful entrepreneur who founded CodeClouds in 2009 following his success in technology innovation, business consulting, and also as an engineering expert. As a founder and CEO, Kinkar manages all aspects of CodeClouds' international business operations, while maintaining an exceptionally talented team. He loves discovering and experimenting with the new tools and systems to build greater efficiencies. Along with his technical enthusiasm, from the early days of his life, he had been closely connected with various social activities to bring meaningful changes in the lives of less-privileged people. Helping others to live a better life is no less than a long-cherished hobby in his life. He believes that only humane thoughts and treatments can make the real difference. Currently he lives in New Zealand with his family.